Healthy Chef provides cooking classes to youth, seniors, and others to teach the skills needed to eat as healthy as possible. 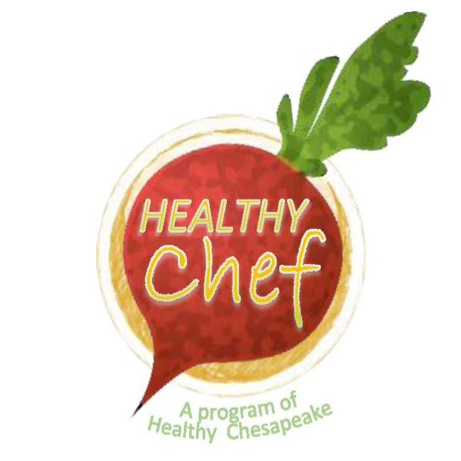 The Healthy Chef program’s objective is to promote food literacy, through educational efforts in nutrition and meal preparation techniques, to increase utilization of healthy foods throughout Chesapeake. Healthy Chesapeake Coalition includes chefs from Now You’re Cooking, ECPI/Culinary Institute of Virginia students, staff members from Virginia Cooperative Extension Senior Family Nutrition Program, staff members from Chesapeake School District’s School Nutrition Services, and talented volunteer culinary artists. Food literacy provides a pathway for us all to understand the impact of our food choices on our health, the environment, and our economy. Contact us today to join the team, volunteer, donate food, teach or take a class, or invite us to your event!